Player of the Tournament Alyssa Healy is at the top of a star-studded ICC Women's World T20 2018 dream team, selected by a five-member panel of experts. 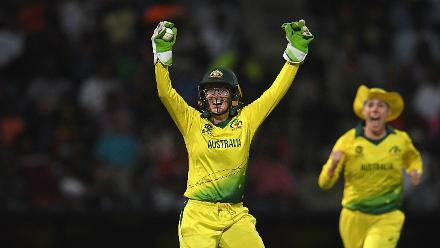 The first standalone ICC Women’s World T20 2018 ended with Australia lifting the trophy for a whopping fourth time, after trumping England by eight wickets in the final. There was little debate as to who the Player of the Tournament was, with Australia wicket-keeper batter Alyssa Healy having an incredible run right through, winning the Player of the Match award each time she got a hit in the middle, except in the final. She is right on top of the batting order of the XI, which will be led by India’s Harmanpreet Kaur, who played arguably the innings of the tournament in the very first fixture, against New Zealand. Here’s the squad, then, as chosen by former cricketers Anjum Chopra, Ebony Rainford-Brentand, Ian Bishop, as well as journalist Melinda Farrell and ICC General Manager of Cricket Operations Geoff Allardice. 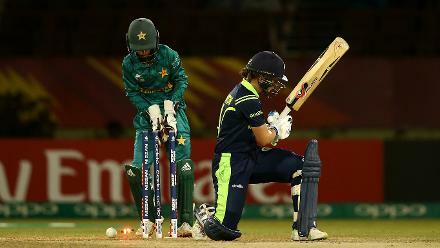 Didn't put a foot wrong doesn't even begin to sum up Healy's performance with the bat in the tournament. Her sequence of scores leading up to the final – 48, 56*, 53 and 46 – does tell the story, though. She won the Player of the Match award on each of those occasions, only missing out in the group-stage game against India, when she collided with Megan Schutt while attempting a catch and couldn't come out to bat. She was outstanding, and even in the final, when she scored a 20-ball 22 in Australia's chase of 106 against England, she did give her team exactly the start they needed. In many ways, it was Healy's tournament. 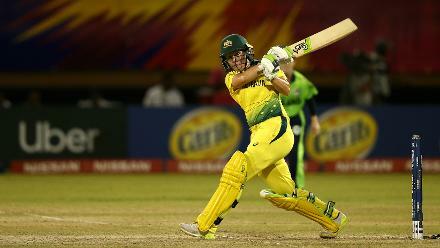 The left-handed opener didn’t have as good a tournament as many might have anticipated after her heroics at the Women’s Cricket Super League, but she did have a couple of good games, none better than against Australia in the final group outing, where she scored 83 in 55 balls against a top-notch attack. 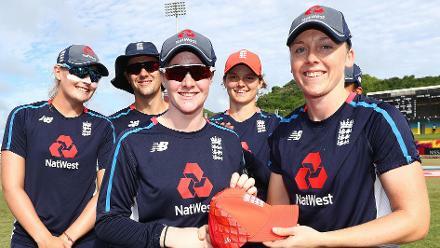 It was a bit of a breakthrough tournament for the 25-year-old England top-order wicket-keeper batter as she topped the scorers' chart in a star-studded line-up. She faltered on more than one occasion, but put her hand up when it really mattered, in the semi-final against India, scoring a wonderful 47-ball 53*. As far as the Innings of the Tournament is concerned, there can’t be one to match up to Kaur’s blistering 51-ball 103 in the opening game against New Zealand. It got the tournament, and India’s campaign, off to a fantastic start, which continued until the semi-final against England. The 27-ball 43 against Australia wasn’t a bad effort either, and she led the Indians extremely well with an aggressive attitude. In terms of all-rounders, there weren’t too many better than the veteran from Barbados, who was right in the thick of the action with ball, bat and on the field. She returned 5/5 in the opening game against Bangladesh and went on to pick up 10 wickets overall, and had two good outings with the bat too, scoring 49 against Sri Lanka and 46 against England. Thrust into the captaincy role just before the tournament, Javeria responded well. 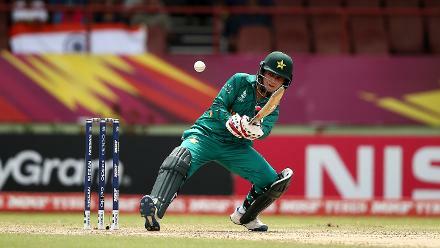 She topped the run-scorers’ chart for her team, and was outstanding especially against Ireland, when she scored a 52-ball 74, a Pakistan record in T20Is. 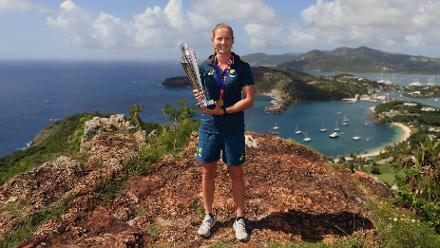 She followed that up with 36 in 23 balls against New Zealand, another excellent effort. The star all-rounder had a quiet time of it, especially with the bat, getting a chance to face just a handful of deliveries from the lower middle-order. When she did face more than just a few balls, she did extremely well, scoring 39*in 28 balls against India, albeit in a losing cause. She was on the money with the ball, though, picking up important wickets all the way through at a superb economy rate, celebrating animatedly each time. Quite simply, she is a joy to watch. 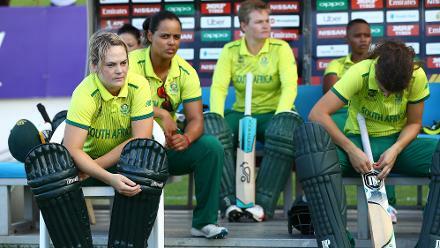 New Zealand’s batting, bar Suzie Bates, failed to fire during the tournament, but their bowlers did well. Off-spinner Kasperek was the best of the lot, picking up at least a wicket in every game, topped by the three-fors she recorded against Australia (3/25) and Ireland (3/19), giving the Kiwis a silver lining to their early exit. The medium pacer, England's hero from the ICC Women's World Cup 2017 final, didn't do much wrong, bowling with fire and accuracy and denting the opposition top order on more than one occasion. She was miserly, and also among the wickets – the 3/11 hat-trick against South Africa and 3/10 against the Windies stood out. The 21-year-old left-arm spinner faltered in the final, but was very impressive before that. She hit the right lines in every match leading up to the big one, keeping things tight and picking up eight wickets along the way. While Jones got the Player of the Match award after England's win over India in the semi-final, the bowlers set that win up by shooting India out for 112 – Gordon was the best of the bunch there with 2/20, her wickets including the big one of Kaur. The little leg-spinner led the inexperienced Indian bowling attack well, and troubled batters no end. 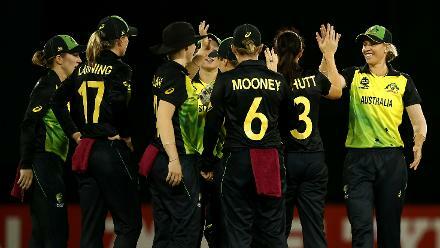 She was outstanding when on song, like against New Zealand in the opening game, when she returned 3/33. Yadav picked up wickets in each of the group-stage games with her mixed bag of deliveries. The 25-year-old medium-pacer had an excellent time of it, standing out in a bowling attack packed with spinners and standing tall, especially with her 3/23 against the Windies and 3/21 against Sri Lanka. Still only 25, and very experienced, Alam is one of the star performers Bangladesh will bank on to take them up to the next level, and will be one to keep an eye out for.